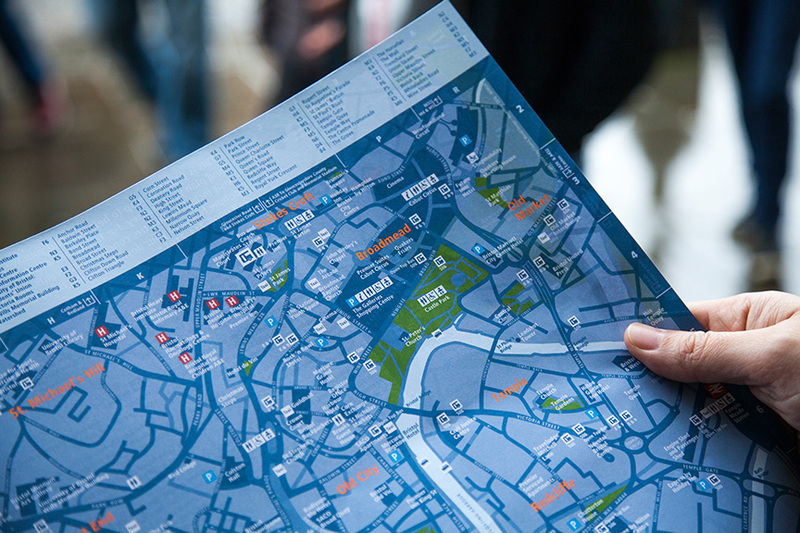 Providing an overview of Bristol’s central area the A3 blue walking map is seen in the hands of visitors all across the city’s central neighbourhoods. This free map has proven extremely popular and is stocked at all major points of entry to the city as well as at major destinations and hotels. Over four million copies have been printed and the map continues to be in demand.